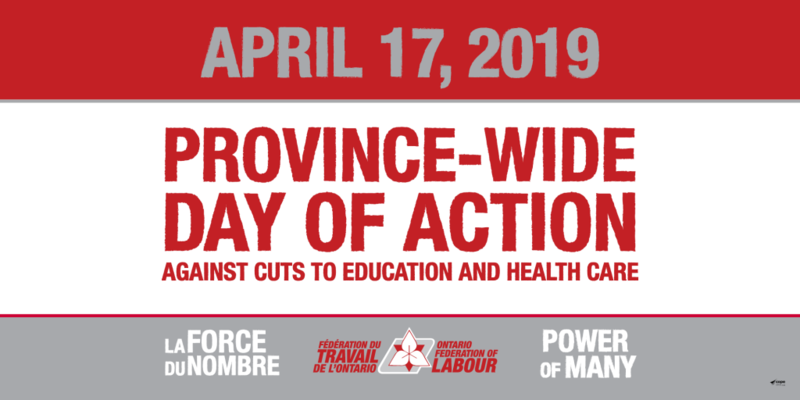 PC government’s cuts to education and health care let families suffer while big business profits, says Ontario Federation of Labour. Stop Ford’s cuts to Ontario schools. Sign the petition demanding the government end carding now. Power of Many: Women march to say “We are not going back,” and demand equality and justice.